Certified. CARFAX One-Owner. Clean CARFAX. Classic Silver Metallic 2016 Toyota Corolla S FWD CVT 1.8L I4 DOHC Dual VVT-i When you can come to Joseph Toyota of Cincinnati, you can have your car wishes granted. And let's face it: you deserve nothing less. Located on 9101 Colerain Avenue in Cincinnati, Ohio, we know our job isn't finished until you're completely satisfied. Odometer is 1954 miles below market average! 29/37 City/Highway MPG Toyota Certified Used Vehicles Details: * Vehicle History * Roadside Assistance * Warranty Deductible: $50 * Limited Comprehensive Warranty: 12 Month/12,000 Mile (whichever comes first) from certified purchase date. Roadside Assistance for 1 Year * Powertrain Limited Warranty: 84 Month/100,000 Mile (whichever comes first) from original in-service date * 160 Point Inspection * Transferable Warranty Awards: * 2016 KBB.com Best Buy Awards Finalist * 2016 KBB.com 5-Year Cost to Own Awards Call (513) 385-0800 today for more information on this vehicle! Certified. CARFAX One-Owner. Clean CARFAX. Barcelona Red Metallic 2017 Toyota Corolla SE FWD CVT 1.8L I4 DOHC Dual VVT-i When you can come to Joseph Toyota of Cincinnati, you can have your car wishes granted. And let's face it: you deserve nothing less. Located on 9101 Colerain Avenue in Cincinnati, Ohio, we know our job isn't finished until you're completely satisfied. 28/35 City/Highway MPG Toyota Certified Used Vehicles Details: * Warranty Deductible: $50 * Vehicle History * 160 Point Inspection * Powertrain Limited Warranty: 84 Month/100,000 Mile (whichever comes first) from original in-service date * Limited Comprehensive Warranty: 12 Month/12,000 Mile (whichever comes first) from certified purchase date. Roadside Assistance for 1 Year * Transferable Warranty * Roadside Assistance Awards: * 2017 KBB.com 5-Year Cost to Own Awards * 2017 KBB.com 10 Best Sedans Under $25,000 * 2017 KBB.com 10 Most Awarded Brands * 2017 KBB.com Best Resale Value Awards Call (513) 385-0800 today for more information on this vehicle! Certified. CARFAX One-Owner. Clean CARFAX. Barcelona Red Metallic 2017 Toyota Corolla SE FWD CVT 1.8L I4 DOHC Dual VVT-i When you can come to Joseph Toyota of Cincinnati, you can have your car wishes granted. And let's face it: you deserve nothing less. Located on 9101 Colerain Avenue in Cincinnati, Ohio, we know our job isn't finished until you're completely satisfied. 28/35 City/Highway MPG Toyota Certified Used Vehicles Details: * Limited Comprehensive Warranty: 12 Month/12,000 Mile (whichever comes first) from certified purchase date. Roadside Assistance for 1 Year * 160 Point Inspection * Warranty Deductible: $50 * Vehicle History * Roadside Assistance * Transferable Warranty * Powertrain Limited Warranty: 84 Month/100,000 Mile (whichever comes first) from original in-service date Awards: * 2017 KBB.com 5-Year Cost to Own Awards * 2017 KBB.com 10 Best Sedans Under $25,000 * 2017 KBB.com Best Resale Value Awards * 2017 KBB.com 10 Most Awarded Brands Call (513) 385-0800 today for more information on this vehicle! Certified. CARFAX One-Owner. Clean CARFAX. Ruby Flare Pearl 2016 Toyota Camry LE FWD 6-Speed Automatic 2.5L I4 SMPI DOHC Almond w/Fabric Seat Trim. When you can come to Joseph Toyota of Cincinnati, you can have your car wishes granted. And let's face it: you deserve nothing less. Located on 9101 Colerain Avenue in Cincinnati, Ohio, we know our job isn't finished until you're completely satisfied. 25/35 City/Highway MPG Toyota Certified Used Vehicles Details: * Vehicle History * Roadside Assistance * Transferable Warranty * Powertrain Limited Warranty: 84 Month/100,000 Mile (whichever comes first) from original in-service date * Limited Comprehensive Warranty: 12 Month/12,000 Mile (whichever comes first) from certified purchase date. Roadside Assistance for 1 Year * 160 Point Inspection * Warranty Deductible: $50 Awards: * 2016 KBB.com 10 Most Comfortable Cars Under $30,000 * 2016 KBB.com Best Buy Awards Finalist * 2016 KBB.com 5-Year Cost to Own Awards * 2016 KBB.com 10 Best UberX Candidates * 2016 KBB.com 10 Most Awarded Cars * 2016 KBB.com 10 Best Sedans Under $25,000 Call (513) 385-0800 today for more information on this vehicle! Certified. CARFAX One-Owner. Clean CARFAX. Super White 2015 Toyota Camry LE FWD 6-Speed Automatic 2.5L I4 SMPI DOHC Ash w/Fabric Seat Trim, ABS brakes, Electronic Stability Control, Heated door mirrors, Illuminated entry, Low tire pressure warning, Remote keyless entry, Traction control. When you can come to Joseph Toyota of Cincinnati, you can have your car wishes granted. And let's face it: you deserve nothing less. Located on 9101 Colerain Avenue in Cincinnati, Ohio, we know our job isn't finished until you're completely satisfied. Odometer is 23704 miles below market average! 25/35 City/Highway MPG Toyota Certified Used Vehicles Details: * 160 Point Inspection * Powertrain Limited Warranty: 84 Month/100,000 Mile (whichever comes first) from original in-service date * Vehicle History * Limited Comprehensive Warranty: 12 Month/12,000 Mile (whichever comes first) from certified purchase date. Roadside Assistance for 1 Year * Transferable Warranty * Roadside Assistance * Warranty Deductible: $50 Awards: * 2015 KBB.com 10 Best Sedans Under $25,000 * 2015 KBB.com 15 Best Family Cars Call (513) 385-0800 today for more information on this vehicle! Certified. CARFAX One-Owner. Clean CARFAX. Slate Metallic 2017 Toyota Corolla L FWD CVT 1.8L I4 DOHC Dual VVT-i When you can come to Joseph Toyota of Cincinnati, you can have your car wishes granted. And let's face it: you deserve nothing less. Located on 9101 Colerain Avenue in Cincinnati, Ohio, we know our job isn't finished until you're completely satisfied. Recent Arrival! Odometer is 10846 miles below market average! 28/36 City/Highway MPG Toyota Certified Used Vehicles Details: * Limited Comprehensive Warranty: 12 Month/12,000 Mile (whichever comes first) from certified purchase date. Roadside Assistance for 1 Year * 160 Point Inspection * Powertrain Limited Warranty: 84 Month/100,000 Mile (whichever comes first) from original in-service date * Warranty Deductible: $50 * Vehicle History * Roadside Assistance * Transferable Warranty Awards: * 2017 KBB.com 5-Year Cost to Own Awards * 2017 KBB.com 10 Best Sedans Under $25,000 * 2017 KBB.com 10 Most Awarded Brands * 2017 KBB.com Best Resale Value Awards Call (513) 385-0800 today for more information on this vehicle! Certified. Clean CARFAX. Black 2016 Toyota Camry LE FWD 6-Speed Automatic 2.5L I4 SMPI DOHC Black w/Fabric Seat Trim. 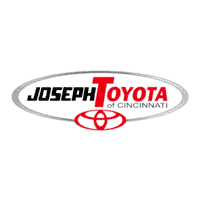 When you can come to Joseph Toyota of Cincinnati, you can have your car wishes granted. And let's face it: you deserve nothing less. Located on 9101 Colerain Avenue in Cincinnati, Ohio, we know our job isn't finished until you're completely satisfied. Recent Arrival! 25/35 City/Highway MPG Toyota Combined Details: * Vehicle History * Warranty Deductible: $50 * Powertrain Limited Warranty: 84 Month/100,000 Mile (whichever comes first) from original in-service date * Roadside Assistance * Transferable Warranty * 160 Point Inspection (for Toyota Certified Used Vehicles program), 174 Point Inspection (for Toyota Certified Used Hybrids program) * Limited Comprehensive Warranty: 12 Month/12,000 Mile (whichever comes first) from certified purchase date. Roadside Assistance for 1 Year (for Toyota Certified Used Vehicles program), Limited Comprehensive Warranty: 12 Month/12,000 Mile (whichever comes first) from certified purchase date. Battery 8 years/100,000 miles (whichever comes first) from original in-service date. Roadside Assistance for 1 Year (for Toyota Certified Used Hybrids program) Awards: * 2016 KBB.com Best Buy Awards Finalist * 2016 KBB.com 10 Most Comfortable Cars Under $30,000 * 2016 KBB.com 10 Best Sedans Under $25,000 * 2016 KBB.com 5-Year Cost to Own Awards * 2016 KBB.com 10 Best UberX Candidates * 2016 KBB.com 10 Most Awarded Cars Call (513) 385-0800 today for more information on this vehicle! Certified. CARFAX One-Owner. Clean CARFAX. Celestial Silver Metallic 2017 Toyota Camry LE FWD 6-Speed Automatic 2.5L I4 SMPI DOHC Black w/Fabric Seat Trim. When you can come to Joseph Toyota of Cincinnati, you can have your car wishes granted. And let's face it: you deserve nothing less. Located on 9101 Colerain Avenue in Cincinnati, Ohio, we know our job isn't finished until you're completely satisfied. 24/33 City/Highway MPG Toyota Certified Used Vehicles Details: * Roadside Assistance * Transferable Warranty * Warranty Deductible: $50 * Powertrain Limited Warranty: 84 Month/100,000 Mile (whichever comes first) from original in-service date * Limited Comprehensive Warranty: 12 Month/12,000 Mile (whichever comes first) from certified purchase date. Roadside Assistance for 1 Year * Vehicle History * 160 Point Inspection Awards: * 2017 KBB.com 10 Most Comfortable Cars Under $30,000 * 2017 KBB.com 10 Best Sedans Under $25,000 * 2017 KBB.com Best Resale Value Awards * 2017 KBB.com 10 Most Awarded Brands Call (513) 385-0800 today for more information on this vehicle! Certified. CARFAX One-Owner. Clean CARFAX. Slaye Metallic 2016 Toyota Corolla S Plus FWD CVT 1.8L I4 DOHC Dual VVT-i ABS brakes, Electronic Stability Control, Heated door mirrors, Illuminated entry, Low tire pressure warning, Remote keyless entry, Traction control. When you can come to Joseph Toyota of Cincinnati, you can have your car wishes granted. And let's face it: you deserve nothing less. Located on 9101 Colerain Avenue in Cincinnati, Ohio, we know our job isn't finished until you're completely satisfied. Recent Arrival! Odometer is 23411 miles below market average! 29/37 City/Highway MPG Toyota Certified Used Vehicles Details: * Roadside Assistance * Powertrain Limited Warranty: 84 Month/100,000 Mile (whichever comes first) from original in-service date * Warranty Deductible: $50 * Limited Comprehensive Warranty: 12 Month/12,000 Mile (whichever comes first) from certified purchase date. Roadside Assistance for 1 Year * Vehicle History * 160 Point Inspection * Transferable Warranty Awards: * 2016 KBB.com Best Buy Awards Finalist * 2016 KBB.com 5-Year Cost to Own Awards Call (513) 385-0800 today for more information on this vehicle! Certified. Clean CARFAX. Celestial Silver Metallic 2016 Toyota Camry FWD 6-Speed Automatic 2.5L I4 SMPI DOHC Black w/Sport Fabric Softex-Trimmed Front Seat Trim. When you can come to Joseph Toyota of Cincinnati, you can have your car wishes granted. And let's face it: you deserve nothing less. Located on 9101 Colerain Avenue in Cincinnati, Ohio, we know our job isn't finished until you're completely satisfied. 25/35 City/Highway MPG Toyota Certified Used Vehicles Details: * Powertrain Limited Warranty: 84 Month/100,000 Mile (whichever comes first) from original in-service date * Limited Comprehensive Warranty: 12 Month/12,000 Mile (whichever comes first) from certified purchase date. Roadside Assistance for 1 Year * Vehicle History * Roadside Assistance * Warranty Deductible: $50 * Transferable Warranty * 160 Point Inspection Awards: * 2016 KBB.com 10 Most Awarded Cars * 2016 KBB.com 10 Best Sedans Under $25,000 * 2016 KBB.com 10 Most Comfortable Cars Under $30,000 * 2016 KBB.com 10 Best UberX Candidates * 2016 KBB.com Best Buy Awards Finalist * 2016 KBB.com 5-Year Cost to Own Awards Call (513) 385-0800 today for more information on this vehicle! Certified. CARFAX One-Owner. Clean CARFAX. Gray 2016 Toyota Camry Hybrid LE FWD eCVT 2.5L I4 Hybrid DOHC 2.5L I4 Hybrid DOHC, Black w/Fabric Seat Trim. When you can come to Joseph Toyota of Cincinnati, you can have your car wishes granted. And let's face it: you deserve nothing less. Located on 9101 Colerain Avenue in Cincinnati, Ohio, we know our job isn't finished until you're completely satisfied. Recent Arrival! Odometer is 40879 miles below market average! 43/39 City/Highway MPG Toyota Certified Used Hybrids Details: * 174 Point Inspection * Warranty Deductible: $50 * Powertrain Limited Warranty: 84 Month/100,000 Mile (whichever comes first) from original in-service date * Roadside Assistance * Transferable Warranty * Vehicle History * Limited Comprehensive Warranty: 12 Month/12,000 Mile (whichever comes first) from certified purchase date. Battery 8 years/100,000 miles (whichever comes first) from original in-service date. Roadside Assistance for 1 Year Call (513) 385-0800 today for more information on this vehicle! If you’re on the hunt for your next vehicle, then you are on a great page! Joseph Toyota of Cincinnati is proud to offer drivers of the Cincinnati, Colerain and Fairfield areas a quality selection of certified pre-owned vehicles! Whether you’re on the hunt for a sedan or an SUV, we have what you need in good as new condition. If you have any questions along the way, give us a call, or stop by our Cincinnati dealership.